Ford Ranger has long been one of the hardest working pick-ups in the business. Now available with an even longer list of ingenious technologies, it’s also one of the smartest. Ford SYNC 2 lets you control your music, phone, navigation system, and climate control using simple, intuitive voice commands or via the 8” colour touchscreen. You can even call up a list of local restaurants just by saying “I’m hungry”, or access the Michelin Guide to help you choose and book. * This system is designed to be a supplementary driving aid. It is not intended to replace the driver’s attention, and judgment, or the need to apply the brakes. This systemdoes NOT activate the brakes automatically. Failure to press the brake pedal to activate the brakes may result in a collision. Choose 4x2 for regular driving, 4x4 High Range for poor road surfaces and dirt tracks and 4x4 Low Range for exceptionally challenging terrain. Using Electronic Shift-On-The-Fly you can also switch between 4x2 and 4x4 High Range, whilst on the move. A Lane Keeping System uses a forward-looking camera to detect if you’re unintentionally drifting out of lane. Lane Keeping Alert then warns you by vibrating the steering wheel and displaying a visual warning. If you're slow to react or don’t respond, Lane Keeping Aid can provide steering torque assistance to help guide you safely back into the right lane. The technology is designed for multi-lane roads (like motorways), so will automatically deactivate at speeds below 43mph (65 kph) or can be turned off manually. To ensure that you get a vehicle you can rely on, the New Ranger’s been ruthlessly tested in some of the most hostile environments, under extreme temperatures, and across the harshest terrain on earth. Designed and purpose built to handle every task and challenge you set it, this pick-up is the real deal. With up to 1,403kg gross payload capacity* and 3,500kg towing capability**, you can take on the biggest tasks and challenges and carry and tow the biggest, bulkiest loads too. The New Ranger goes where lesser vehicles may fear to tread. In fact, with a wading depth of 800mm* it will prove itself both on dry land and through water. * Maintaining a steady speed of not more than 4 Mph. The New Ranger’s pick-up box can carry a standard Euro pallet, the tools of your trade, or all you need for a weekend camping trip. It also offers a number of features to help keep your load safe, all of which are DIN compliant: sturdy tie-down hooks, an integrated load rest and, on some models, exterior rope rails. For added security and peace of mind, the tailgate can be locked and unlocked manually. Clever additional touches also provide useful support to your business, such as an optional 240-volt power socket in the cab, invaluable when you need to charge your phone, tablet or rechargeable work tool on the road. New Ranger’s reinforced safety cell comes with the reassuring protection of standard driver and passenger airbags, side and curtain airbags and a driver's knee airbag. A sophisticated Electronic Stability Control system helps you keep control. A state-of-the-art alarm system exists to protect your vehicle from theft. An important aspect of Ford SYNC 2 is Ford Emergency Assistance*. This potentially life-saving feature is designed to assist you in placing an emergency call and can provide the emergency services with information about your vehicle’s location, in your own language. You can choose to stop the call, or talk to those services if you need to. Crucially, the system will supply vital information, such as your GPS coordinates, even if you are unconscious. * Ford Emergency Assistance operates in over 30 European countries. This feature works when paired with a compatible connected mobile phone that is with you when an airbag is deployed (excludes knee airbags) or a sensor that registers a crash deactivates the fuel pump. Text function and Emergency Assistance not supported by all European languages.  Trailer Sway Assist detects ‘snaking’ or trailer sway and reduces the vehicle’s speed to help solve the problem, making towing more controlled. The system slows the vehicle down by reducing the engine’s torque and gradually increasing the brake pressure on the wheels. The Ranger has an excellent safety package, which includes everything from standard driver and passenger airbags, side and curtain airbags and a driver's knee airbag to an advanced Ranger's Electronic Stability Programme. That's why it's the first ever pick-up to be awarded a Euro NCAP 5-star rating. Its security package is equally comprehensive, too. In the New Ranger, every remarkable technology has a real-world purpose. Bollards, railings, low walls… the rear view camera activates automatically when you select reverse gear and displays whatever’s behind you on an 8” screen* built into the instrument panel. The system also displays virtual guidelines, to help you park in the smallest of spaces. Your on-board trip computer gives you useful facts and figures about your mileage, fuel consumption, speed and the outside air temperature. It also includes ‘distance to empty’: a calculated estimate of how far you can go on the fuel left in the tank. This is particularly useful on long journeys, or if you know you’ll be driving somewhere remote. The 2.2L TDCi Duratorq diesel engine has proved its performance, strength and dependability in the field and has now been enhanced, offering additional power and economy. The 2.2L TDCi Duratorq generates an impressive 160 PS and 385 Nm of torque. Available in 6-speed manual and automatic transmissions (Selected models only). Need even more power? Then take the 3.2L TDCi Duratorq diesel option, with 200PS and 470 Nm of torque at your command. Impressive fuel economy and low emissions are delivered from 43.5 mpg (6.5l/100 km) and 171 g/km CO2 emissions (160PS 4x4 with 6-speed manual and 3.15 FDR). There are two different transmissions. A 6-speed manual gearbox that delivers accurate gear-changes and a smooth 6-speed automatic with carefully tuned shifting points. When you stop at traffic lights or your vehicle is idling in a queue, this technology can automatically switch off the engine whilst still supplying power to essential systems. When you're ready to move, depress the clutch and select first gear, and the system restarts. In towns and cities, Auto Start-Stop, can cut fuel consumption. Call our Ford Transit Centre at Shrewsbury (01743 454411) for more details and to arrange a test drive, or simply fill in an enquiry form.